Look what was at my doorstep yesterday! 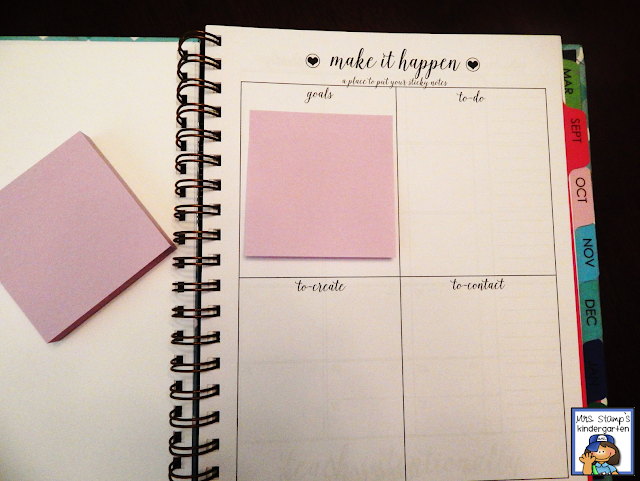 If you've ever taken a look at April's planners...then you know how excited I was!! 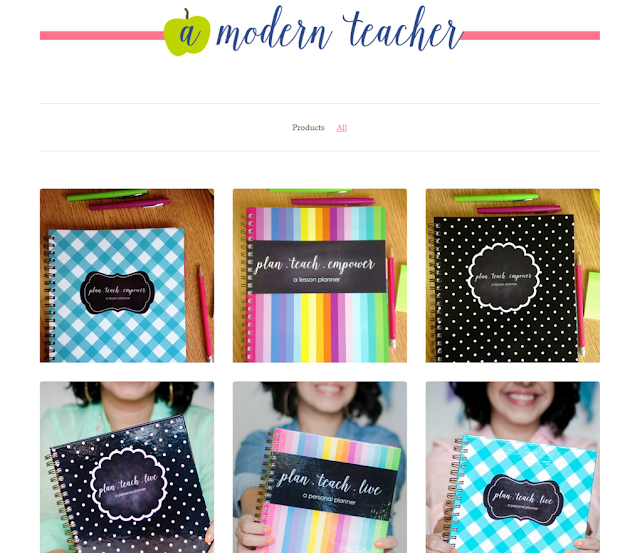 Yes, April is A Modern Teacher! 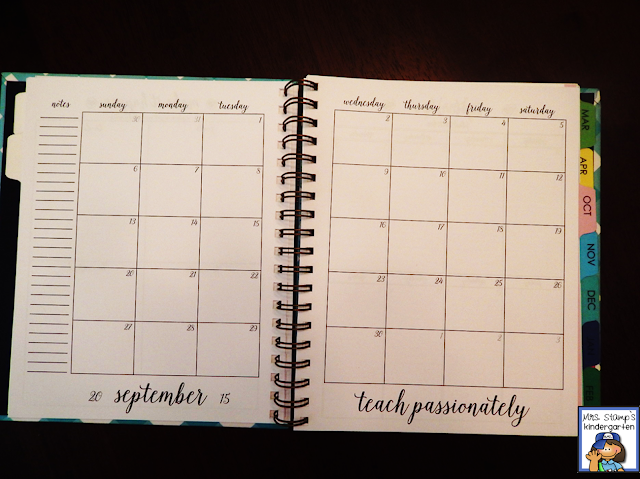 She offers these beautiful planners (both personal and lesson planners) for busy teachers. 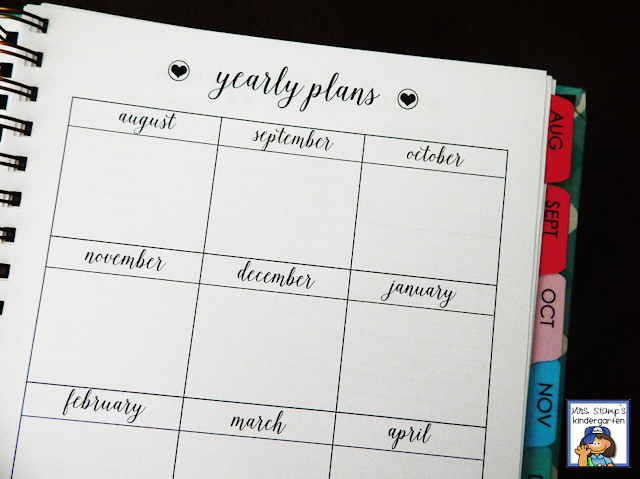 Look at all these gorgeous choices!!! 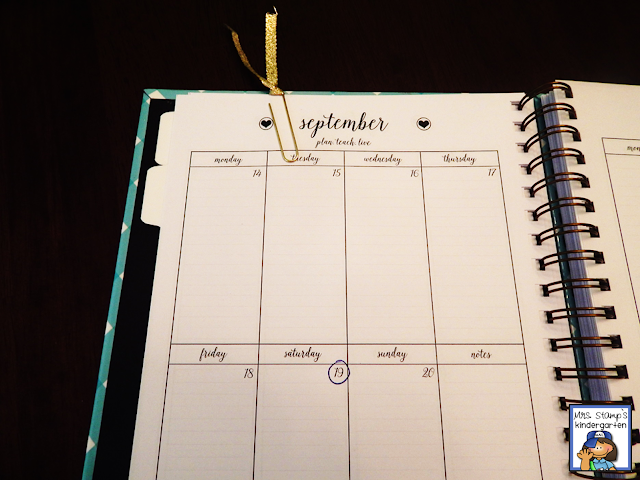 I chose the blue Sunshine Personal Planner. LOVE IT! Just take a look at the very first page...and you know that April designed this with teachers in mind. 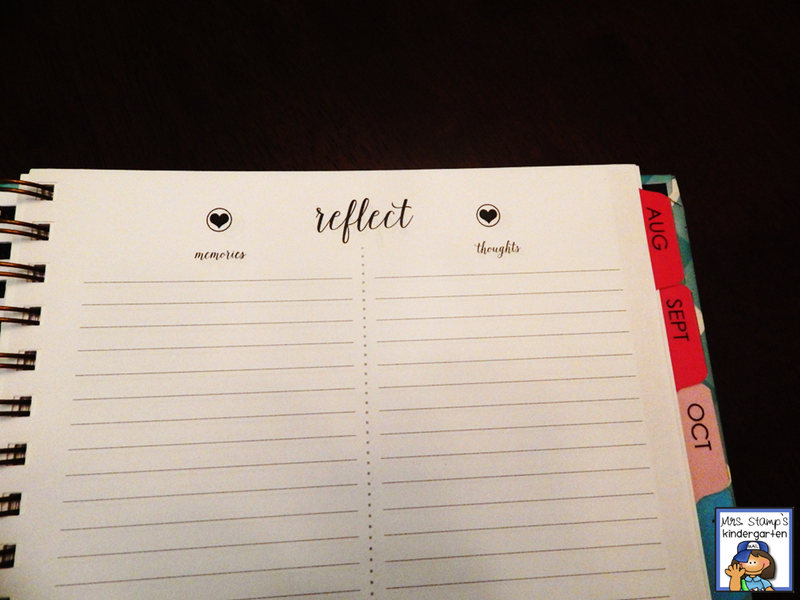 Take a peek at the next few pages, perfect for teachers (like me) who are always making list and planning/reflecting! 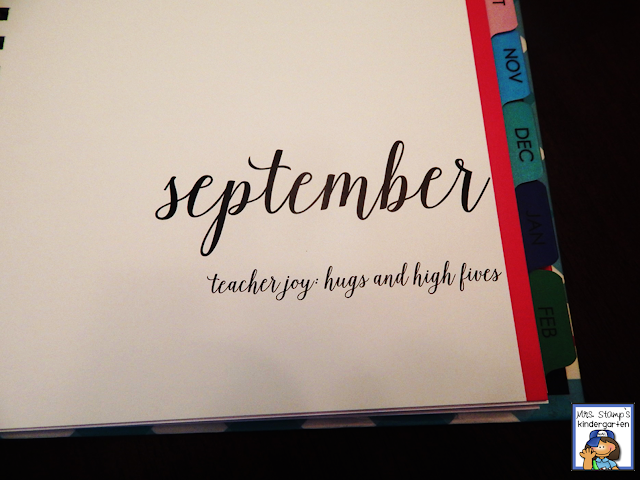 I love that each month as a little teacher joy. September's teacher joy: hugs and high fives. 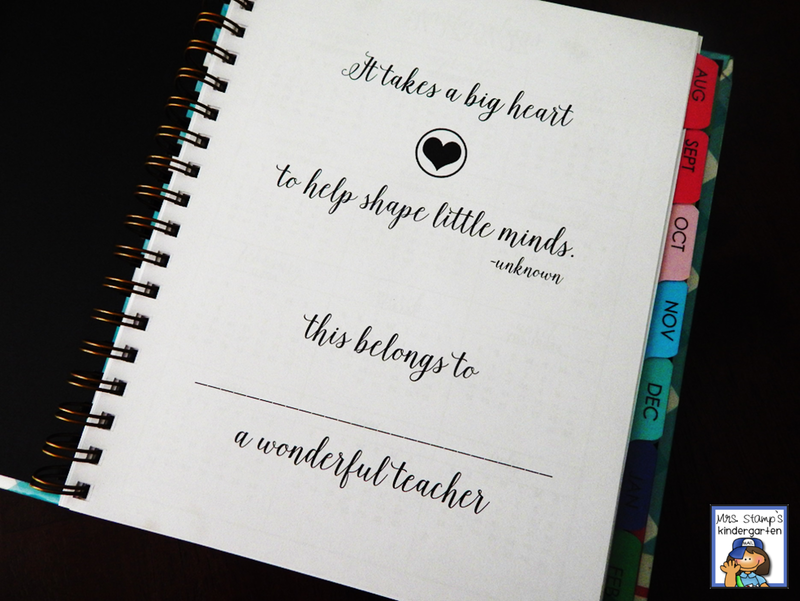 It makes me imagine those morning H's to come (my kiddos choose a handshake, high five, or a hug each morning)! Then there's a place for more list--and sticky notes fit here perfectly!! 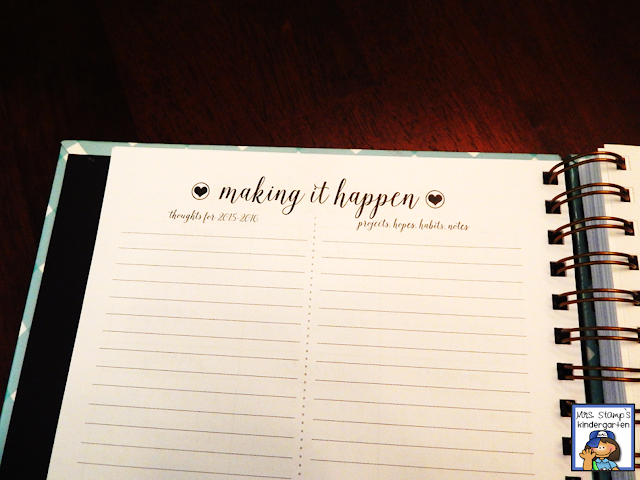 April is letting me give a planner away to one of you! 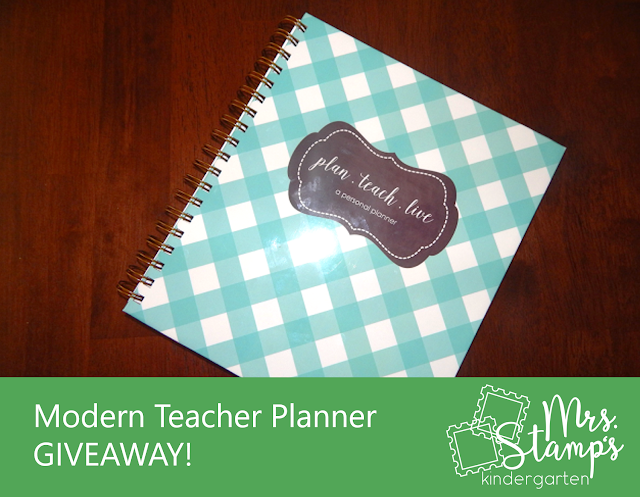 Just enter on the Rafflecopter below...I'll choose a winner on Friday. 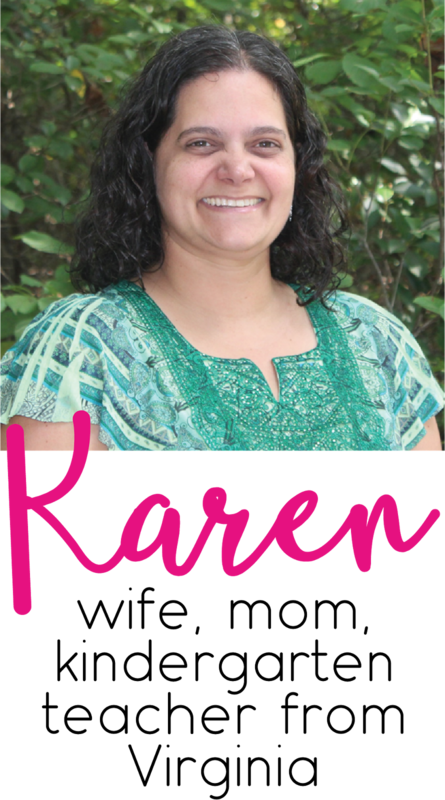 Check out all her fabulous products HERE. 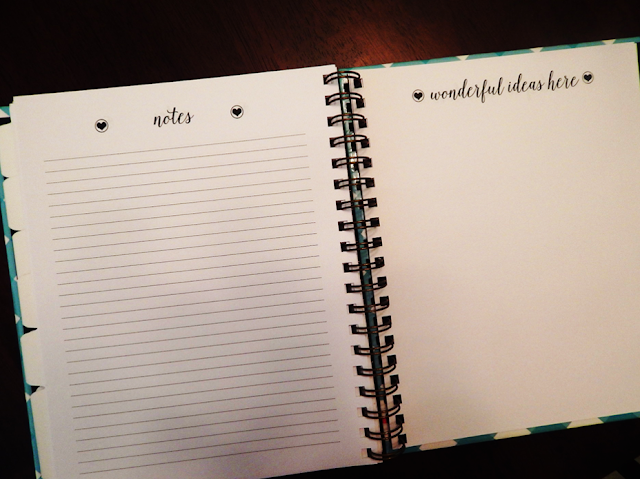 Thanks for sharing with your teacher friends who would love one too! !